Baharash Architecture, an award-winning design studio based in London, UK, has launched a new hub dedicated to providing education and insight on sustainable development. The online hub initiated by Baharash, the designers behind projects such as the Oasis Eco Resort and Dubai Sustainable City, will explore various topics and themes on sustainable development. Some of the topics include resilience, inclusivity, urban mobility, liveability and building sustainably without the added costs, said the company in a statement. *Insight & case studies on sustainable developments. *Lessons learned from working on sustainable developments. *Research on sustainable design practices. *Educate the next generation through the transfer of knowledge. The development comes at a time when the UAE is preparing to become one of the world’s most sustainable countries. “Contrary to common belief, sustainable design does not require an increase in client budget or construction costs. Passive design strategies such as orientation, density and form will provide the biggest environmental gains, yet these require the least financial investment,” remarked Baharash Bagherian, the design director at Baharash Architecture. “The key challenge however, is to provide affordable solutions that are holistic and address all the pillars of sustainability,” observed Bagherian. 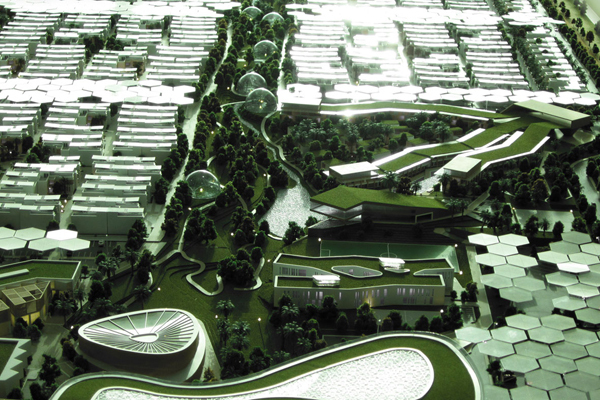 "As we approach Expo 2020, the push towards sustainable development is gaining momentum. In a highly competitive market, sustainable design can provide a unique selling point," he stated .